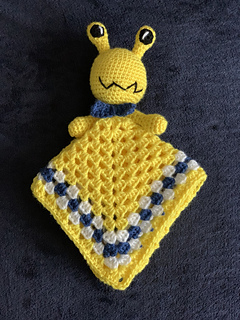 A baby lovey like no other-so unique it is OuT of ThiS WoRld!!! 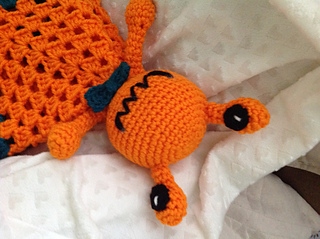 The Arnie and Annie Baby Alien Lovey is an easy pattern perfect for any newborn to small child. Make a boy alien or a girl alien. Got twins? Make 2 boys or 2 girls or one of each. Also a great shower gift. 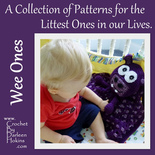 Make one for the new baby and one for big brother or big sister. GAUGE: Exact gauge is not essential. If your gauge is close to stated gauge, your finished lovey will be close to the reported measurements.